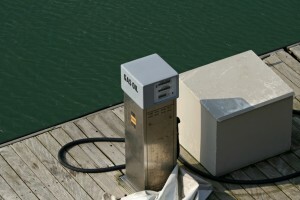 Should I Use Ethanol Fuel In My Boat? With a growing focus on ethanol-based fuel for automobiles, many boat owners are wondering if this additive is safe to use in their boat. The right fuel can make a world of difference in your boat’s performance. It will offer more speed, greater reliability, better handling, and it will protect your engine from corrosion damage caused by condensation. But is ethanol-based fuel really the best choice for your boat? If this is your first time hearing about ethanol, let me give you brief explanation regarding its original and chemical makeup: also referred to as ethyl alcohol or spirits, ethanol is a volatile, flammable liquid that’s produced naturally as a the metabolic byproduct of yeast. It’s found in all types of yeast, and it can even be found in rotten or borderline rotten fruit. According to the Renewable Fuels Association (RFA), E10 – a mixture of 10% ethanol and 90% gasoline – is used exclusively by the National Boat Racing Association’s (NBRA) races. That’s a pretty bold statistic that should attest to its use in boat’s. With that said, there are a few concerns raised in regards to using ethanol fuel in boats. One of the problems of ethanol when used in boats is the possibility of it dissolving and/or damaging seals, lines, gaskets, hoses and even the fuel tank. Ethanol is classified as a powerful solvent, with the ability to dissolve various metals, plastics and synthetic materials. Filling your tank up with ethanol gas just once is unlikely to cause any damage. However, continued use of this additive “may” degrade various components over time. The British Petroleum (BP) states that use of ethanol in boats may lead to poor engine performance and ignition problems. When condensation forms on the outside of the fuel tank, some of the moisture may be absorbed by the ethanol. Once inside the fuel tank, this condensation will then sink to the bottom as it separates itself from the ethanol fuel – a phenomenon known as phase separation. As your boat begins to run low on fuel, it will begin using the condensation rather than the actual fuel, causing performance issues like knocking and pinging. Because ethanol fuel is such a powerful corrosive, it’s able to eat away at a boat’s paint. If you accidentally spill it on your boat’s hull, you may notice areas of discoloration develop. Always use caution when filling your boat’s tank with any type of fuel, especially ethanol blends.